Lots of members ask the same question in our forum - My computer run very slow, how can I solve it. Actually, it is easy, just run Wise Care 365, and click some buttons. 1) Click Check Up Now to check up your system, then click Fix Now to clean system. 2) Click System Tuneup-->System Optimizer-->Optimize. If you want to restore settings, just click System Default. 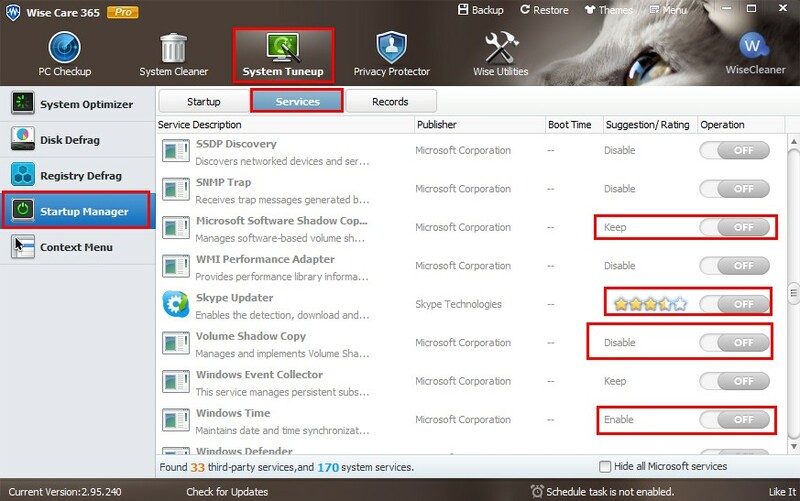 3) Click System Tuneup-->Startup Manager-->Startup, disable useless startup programs. Enable - System often use this service, we suggest you enable it. Disable - This service can be disabled safely. Keep - Maintain this service current status, you don't need to change it. If you confirm this service is useless, you don't need it, you can disable it. No suggestion - We don't give any suggestion for third-party services, if you confirm the service is useless, you don't need to run it when PC starts, you can disable it. Anyway, you can restore your operation in Records tab. 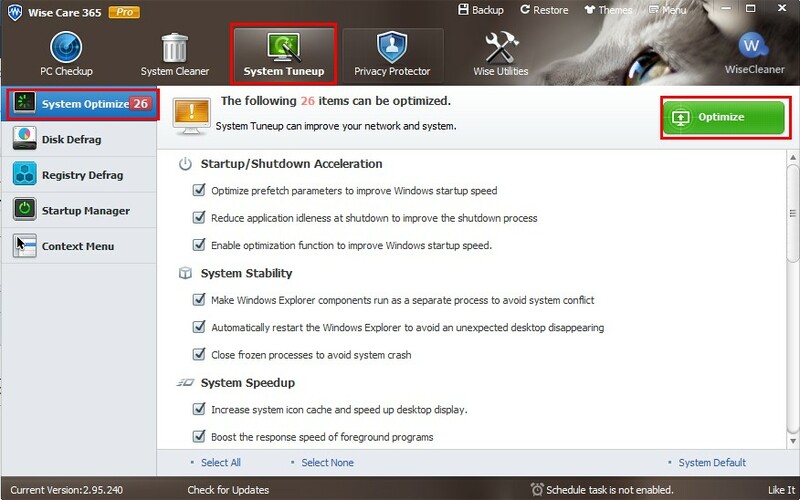 5) Click System Tuneup-->Context Menu, disable context menu of third-party programs. 6) Click System Tuneup-->Disk Defrag, it will spend long time, suggest you just defrag drive C.
7) Click System Tuneup-->Registry Defrag, be careful, it need to reboot your system. 8) If your PC still slow, you can try Wise PC 1stAid, the last one icon "Running speed of PC is too slow", when you reboot system, you will be shocked , your PC just like a new one. Be careful, before you use this function, you must to read its Notice carefully. Because, this operation will disable most IE plugins/extensions, most third-party services, most startup programs. It means some programs which you installed, will not run well. If all above steps cannot speed up your PC, I think your PC's hardware are out of date. In this case, increase your physical memory to 4GB may be useful. Best to use Wise Care 365 Pro to clean your system. CCleaner doesn't clean the system completely. --> defragmentation of your hdd might accelerate your PC. A lot of programs install side processes that run every time you turn on your PC, and some of them are not required all the time, so it's better to limit them. Via task manager, you can disable them easily. There are some preinstalled software installed by PC makers continues to be an issue with new computers. Uninstall the unwanted software that you are not using anymore. Regularly clean up your drives as they store temporary files, recycle din data, offline Web pages, delivery optimization files, and thumbnails. more memory is always a way to speed up PC operations especially when you are using gaming and business laptops. 5. Install an SSD Startup Drive. This past year, I installed a solid-state (SSD) startup drive on my home desktop PC, and the result was a remarkable speedup. And not just for Windows startup, but for loading and using demanding applications such as Adobe Photoshop Lightroom. If you use a laptop, this may also be an option. If you are windows user then the first thing I can suggest you that on search panel type %temp% after typing this you can see a lot of temporary files and these are responsible for your system's slow speed. If still, your system is working slowly then I suggest you that you should run a disk clean up. This process can clean up your hundreds of megabytes by deleting temporary files, unnecessary system files, and emptying your recycling bin. What you have to do is Click on My computer, right-click Hard Drive, then click Properties. Click Disc Cleanup. If performing above steps still your system speed is slow then I think its time to upgrade your RAM and processor. Install a solid state drive. Delete unnecessary files, check whether all your configurations are properly setup. I can post these point with more details if you want. 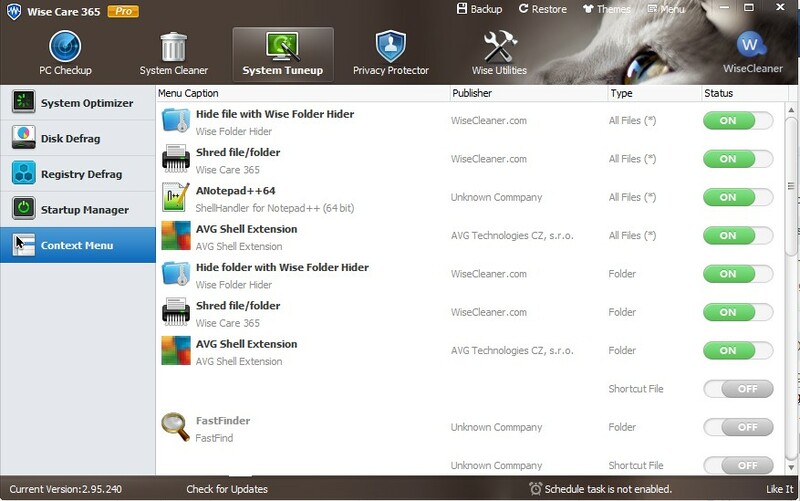 Always keep your system up-to-date and use updated Anti-virus. 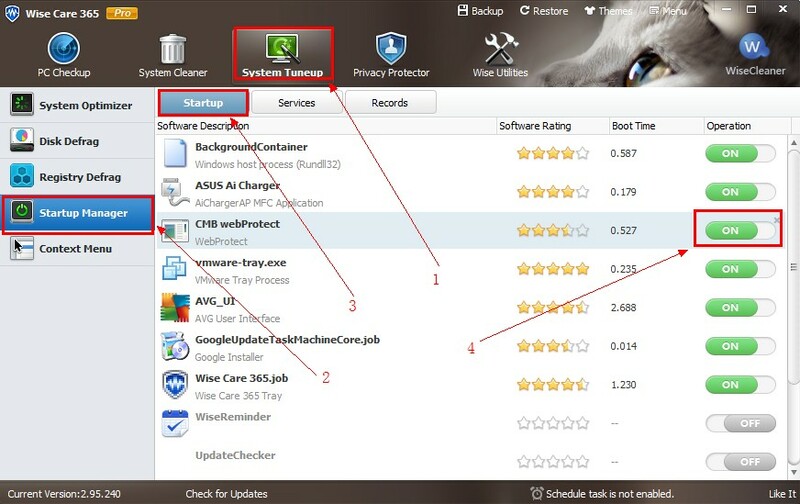 @devinsmiths to be honest 3rd party anti-virus takes up lot of memory, leading to slow pc. Only use anti virus during scanning. your steps helped me speed my computer. Felt nice to be part of this community. Having an additional RAM installed would be the ultimate solution. As a temporary fix, clear the space in your disk.